This issue paves the way for Diana’s new “look” as she decides to go under cover to help prove Steve Trevor’s innocence when he is accused of murder. As the “crowd” she is immersing herself into are Hippies, she decides that her normal civilian attire will not allow her to blend in convincingly and so goes on a shopping spree! At the end of the story, having proved Steve is not guilty, Wonder Woman finds he is suddenly expressing an attraction for her “Diana Prince” persona, to whom he is grateful for helping to free him from jail. 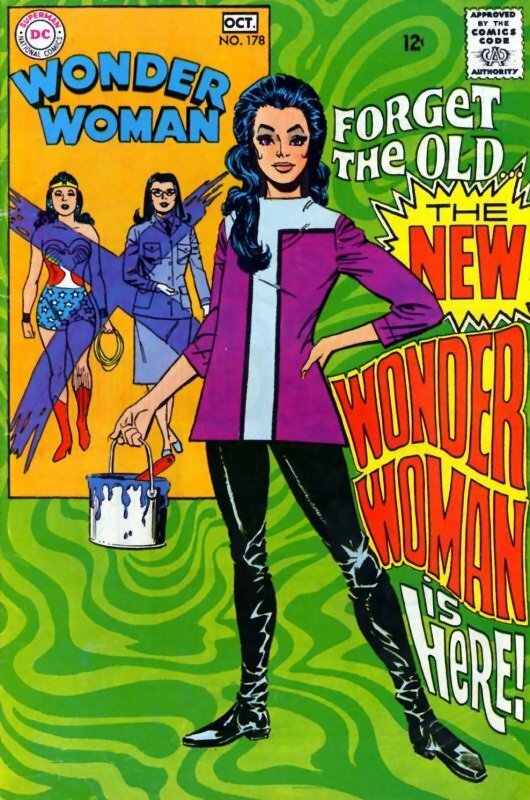 As the Amazon Princess finds that she is almost feeling jealous of her own alter ego, she decides that perhaps it is also time for Wonder Woman herself to change! At Colonel Steve Trevor’s apartment the door bell rings and Steve opens the door to be confronted by two detectives with a warrant for his arrest. He asks them what this is all about and they in turn ask where he was tonight between the hours of 10 and 1. He replies that he was at a bar called the Tangerine Trolley with a girl. They then ask the name of the girl and Steve tells them he does not know. When he again asks what is going on they tell him that a man named Alex Block had been murdered tonight and that witnesses had seen Steve have a fight with the victim earlier in the day. Steve responds that he had been with the girl he had mentioned but without her name and address the detectives are sceptical. With that they take him into custody! A few weeks later and Steve finds himself in court being questioned by the prosecution lawyer. He is asked to tell the court what had happened the night of the murder. Steve tells the hushed courtroom how he and Wonder Woman were giving a farewell party for Roger Seely, Alex Block’s business partner. Things seemed to be going along pretty smoothly until Block appeared and got a little out of hand. 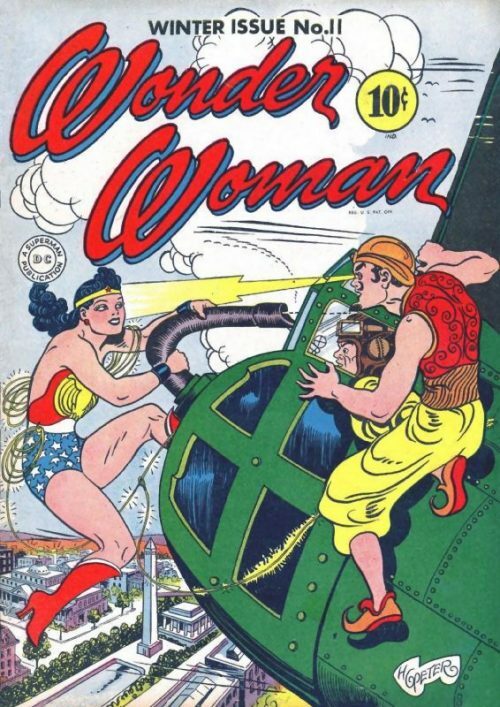 He had mockingly greeted Wonder Woman as the “female Hercules” and had asked her to “flex her muscles”. Steve had told the man he was drunk and Block had replied that it was the only way he could understand Steve’s “girlfriend”. He then had moved towards the Amazon Princess and told her she was a freak but that he liked her even so. He had then grabbed her in his arms and asked her to join him in a drink. An enraged Steve had then punched the drunken Block to the floor. Wonder Woman had pleaded for him to stop as they had promised to give Roger a lift to the airport. With that they had made their goodbyes and left the party. After they had dropped off Roger they had parked up near a lake and Steve had apologised for Alex Block’s behaviour earlier. He had called Alex Block a “Rat” (though Steve omits to tell the court what else he had said after this comment) but Wonder Woman had told him to forget it and to not let it upset him. They had then kissed passionately. A while later Wonder Woman had had to leave on a crime fighting mission and Steve had decided to drop by one of the down town Hippie Clubs called the “Tangerine Trolley”. As he sat down he found a pretty blonde girl sitting zonked out in the chair. He had suggested that they both have a drink and loosen up together. She had told him he spoke the lingo well “for a fossil” and he had asked her for her name. She had replied “no names…we can have our own kind of happening, Luv, without brand names to spoil our trip”. He had then noticed the unusual ring on her finger and she had explained that the Cat-Face ring had been a present. Just then three more Hippies had walked over and the girl had suddenly rushed out before he could say another word. He hand then simply driven home. The Prosecution lawyer replies that after all this time his “mystery” girl has still not shown up in the courtroom to speak in Steve’s defence. In fact, witnesses do not even remember seeing either the girl or Steve in the club that night. Steve pleads that every word he has spoken is true but the lawyer ignores him and calls his next witness – Wonder Woman! The following day in her apartment, Diana curses herself as she reads the newspaper headlines declaring Steve’s guilt. 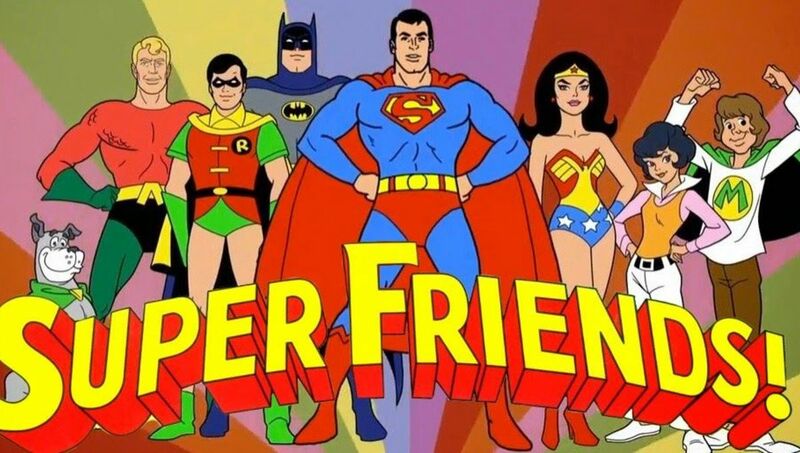 She asks herself why he must suffer just because she foolishly tried to live two lives…one as a crime fighter and one as a nobody named Diana Prince! She throws her army uniform across the room in disgust and continues to torment herself, adding that she had done it all simply to be near the man she loves and to have him always at her side. But now he will never be at her side again now that she has destroyed him! As she sheds a tear, she muses that Alex Block has been right about her…she is not a woman but a freak who will send her own beloved to his death. As she continues to cry though a thought occurs to her. 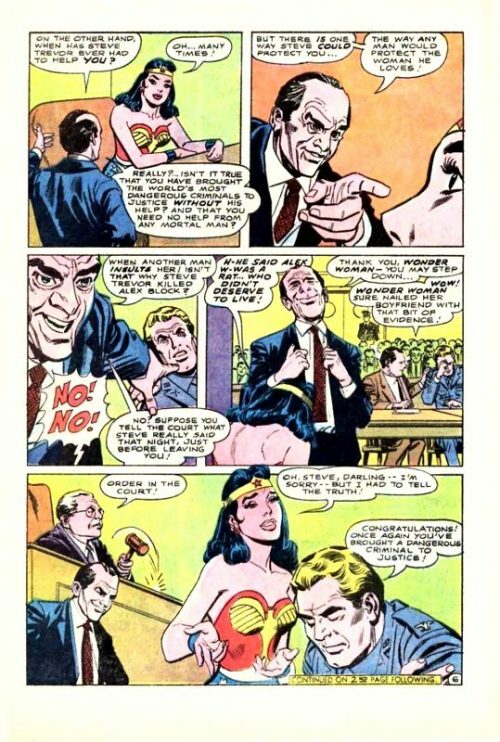 Steve thinks that it is Wonder Woman who has let him down. Maybe as Diana Prince she can still save him. She prays to the Goddess of Love for guidance and says that she will do anything to save the love of her life. The next day as Diana Prince she visits Steve in his cell. He is pleased to see her and says that for a while he thought all his friends had deserted him. 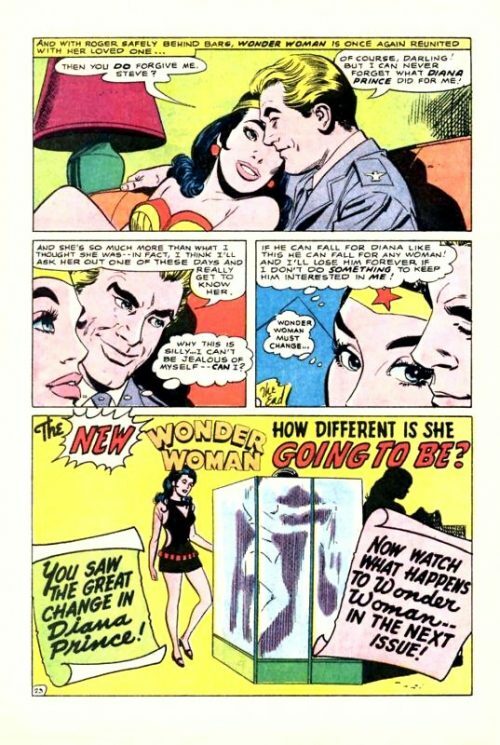 She tells him that she is here because of Wonder Woman. The Amazon Princess loves him deeply and wants him to know that she will do everything in her power to get him out of here. 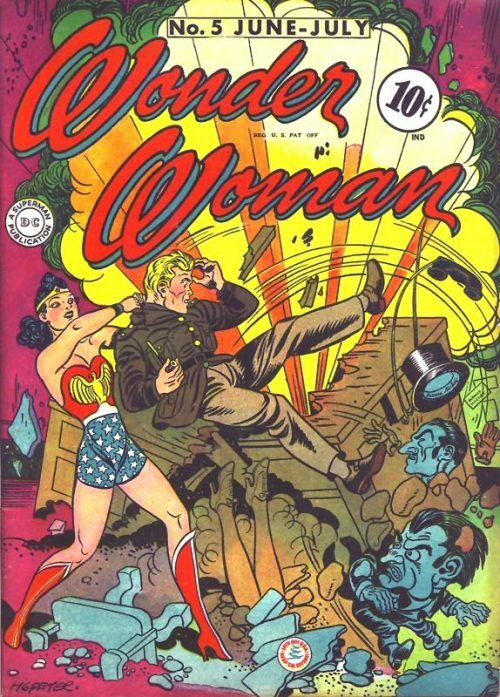 He snarls that she must be joking as it is because of Wonder Woman that he is here in the first place! The only one who can help him now is the mysterious girl he had met at the club…whoever and wherever she may be. Diana suggests he contacts his friend Roger Seely but Steve replies that Roger does not know anything about it and anyway is still abroad in Europe. Things seem hopeless but Diana tries to assure him that she will do everything she can to find the girl. As she leaves the jail she ponders how much Steve hates Wonder Woman right now. The only way she is going to do any good is in her civillian identity as Diana Prince. But in order to start asking questions quietly amongst the Hippies at the club, she is going to have to blend in. She decides to go shopping for a new wardrobe and soon has transformed herself into a very trendy “chick”! She arrives at the Tangerine Trolley and immediately catches the attention of the male clientele. A small, weasily looking hippy comes over to her and suggests they “make the scene together”. She tells him to “cool his head” as she is looking for someone…a girl who wears a ring with a Cat Face adorned on it. He tells her he has not seen anyone with such a trinket and makes a hurried excuse for her to leave. She muses he know more than he is letting on and as she steps outside someone tries to quietly get her attention. Another man named Buck astride a motor cycle tells her he had overhead her conversation and that she can help her. He tells her to get onboard and soon they are racing through the city streets. Soon they arrive at a cemetery on the outskirts of town and he explains that it is a Hippie land where everyone minds their own business. They pull up and disembarking, walk over to where a group of Hippies are singing. Diana asks him where the girl is and Buck explains that a couple of months ago a guy comes looking for the same girl. He offered Buck a bundle of money if he made sure she disappeared for a while because apparently the law were after her. Diana asks what the man’s name was but Buck says he cannot tell her because it would be too dangerous. She asks instead where the girl is so she can get the ring back but Buck replies that the girl was so hard up she had the ring pawned. As he is about to reveal the girl’s whereabouts though a motor bike gang appears from nowhere and gate crashes the party! 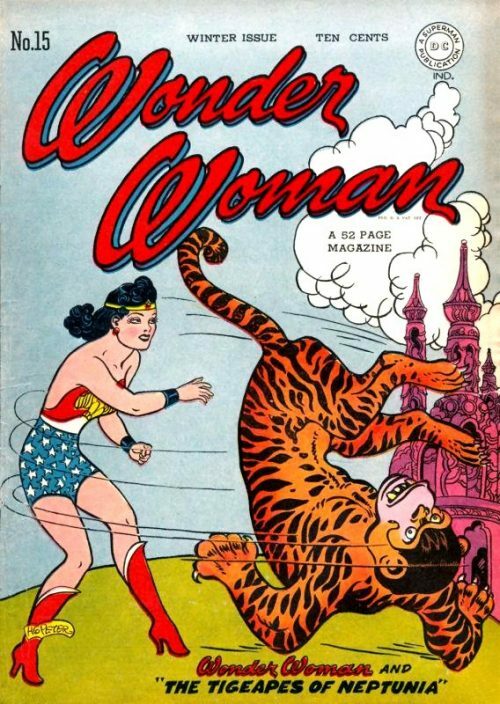 As the bikers grab some of the fleeing girls Diana takes the opportunity to transform unseen into Wonder Woman. She unhooks her lasso and races into the melee. As soon as they see the Amazon Princess the lead biker orders his men to split. As he tries to make his eacape though he finds himself ensnared in the golden lasso. 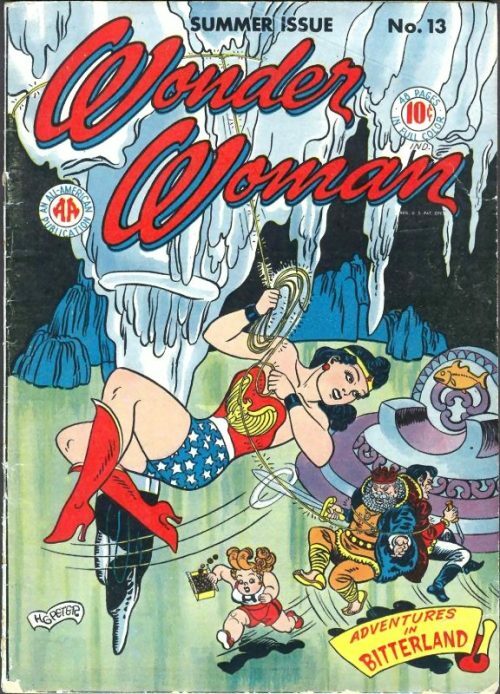 As his men charge towards Wonder Woman she throws the lead biker and his bike at them and bowls them over! With the interruption abruptly ended, Diana changes back into her civillian alter ego and walks over to where Buck is sitting. But she finds to her shock he is dead. The biker raid was obviously just a diversion while someone prevented Buck from talking to her! 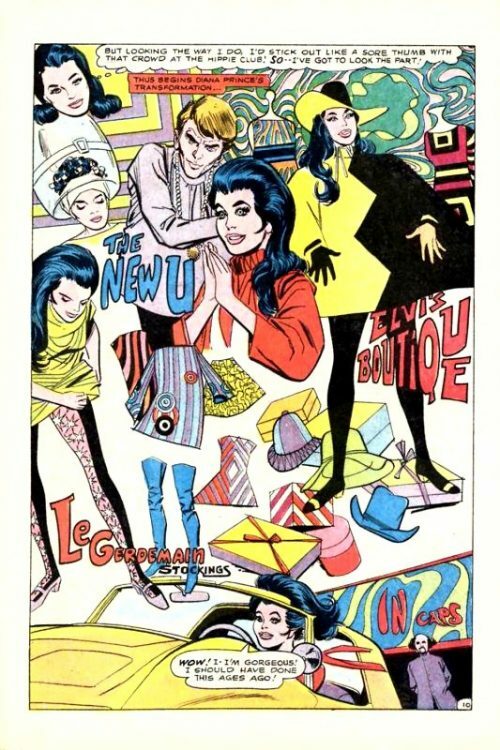 But at least she knows that the girl’s ring had been pawned and she decides that first thing in the morning she will start combing the pawn shops across the city. Returning to her apartment though she finds some welcome news in the form of a cablegram from Roger Seely, who has learned of Steve’s imprisonment and is flying back to America tomorrow. With Roger’s help she is confident they can get Steve out of jail and then perhaps her lover will find it in his heart to forgive her. Early next morning Diana makes the rounds of the pawnshops until finally she finds one that has the Cat-Face ring! she asks for the name and address and rushes back to her apartment excitedly. When she arrives she finds Roger Seely waiting for her and he asks how her hunt went. She tells him that she found the ring and what is more now has the name and address of the girl, called Miss Tina Carvan. She suggests they go round there at once. As she grabs her coat from the other room she asks Roger to kindly phone the Warden and have him tell Steve what is happening – the news will surely please him! But as Diana momentarily leaves the room, Roger only pretends he is speaking to the Warden on the phone. A short while later across town Diana and Roger arrive at the Tina’s address. They knock on the door and the blonde girl opens it. She is surprised to see Diana holding her Cat-Face ring and asks how they managed to find her as Buck had told her to stay undercover. 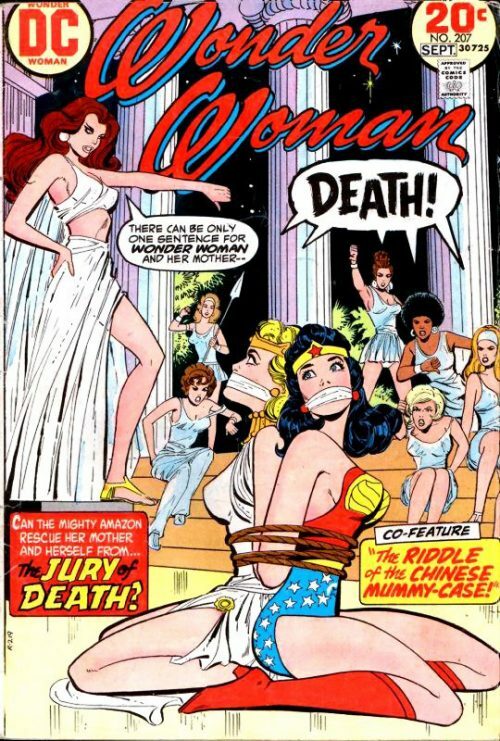 Diana tells Tina that Buck has been murdered because he knew the only person who could prove Steve Trevor’s innocence. She then adds that she would like to know why Tina had not come forward to testify in Steve’s defence? The girl replies that she knew nothing of Steve’s incarceration as for the last two months she has been holed up in her pad night and day. Buck had given her some money and told her to lay low – he had never mentioned anything about Steve. Diana asks Tina to accompany them to the District Attorney’s office to sign a statement and shortly they are in the car heading back into the City Centre. Diana smiles and says that as soon as the police realise Steve is innocent she is sure they will have Alex Block’s real killer behind bars in no time. Seely disagrees and suddenly pulls out a gun, pointing it at Tina’s head. He tells Diana that the police will never find him – just the dead bodies of the only two people who could prove Steve’s innocence! He tells a shocked Diana to keep driving up to the Canyon Hills. With Tina still at gunpoint, Diana has no choice but to obey and knows she dare not move against Seely while the girl is in danger. Seely explains that he knew he could not trust Buck – just as he could not trust that fool Alex Block. Block started snooping around and found out that Seely was stealing company funds so he had to kill him too! Diana tells him he is insane but Seely responds that he had managed to fool everyone! Nobody suspected he had hired an actor to make himself up to look like himself and take the place on the flight to Europe, while he stayed behind to murder Alex. As the car approaches a hair pin bend he tells Diana to drive straight on over the cliff. At the last moment he hurls himself out of the car and waves goodbye to the two woman inside. As the car plummets over the edge Diana leaps out and transforms into Wonder Woman mid air. She unhooks her lasso and loops it around the falling vehicle, stopping it in mid flight. She gently lowers it to the canyon floor leaving Tina, who has passed out from the shock, safely inside while she leaps back up to pursue Seely. But as she reaches the crest of the mountain again she sees he has already boarded a waiting plane and is making good his escape. She chases the plane as it lifts off, deflecting a barrage of bullets from Seely’s gun as he desperately tries to shake off the pursuing Amazon. He eventually runs out of bullets and by now has lost control of the plane. She jumps onto the tail of the wildly bucking plane and turns the rudder left and right to guide the plane down for a safe landing at a nearby airfield. She then grabs Seely from the cockpit and triumphantly takes him into custody. A few days later, with Seely safely behind bars, Wonder Woman and the now freed Steve get cosy on the sofa together. She asks if he has forgiven her yet and he tells her that of course he has. However, he also cannot forget what Diana Prince had done to help free him from jail. He adds that she is so much more than what he thought she was. In fact, he will ask her out one of these and really get to know her properly. On hearing this Wonder Woman feels a tinge of jealousy and thinks to herself that if he can fall for Diana like this he can fall for any woman. If she does not do something to keep him interested in her, she will lose him forever!